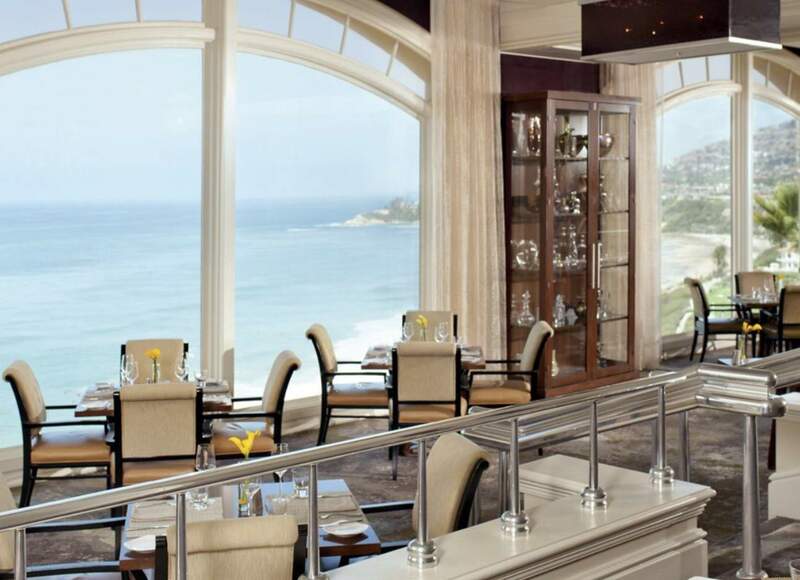 When heading for lunch in Southern California we were always looking for good food with the best views. 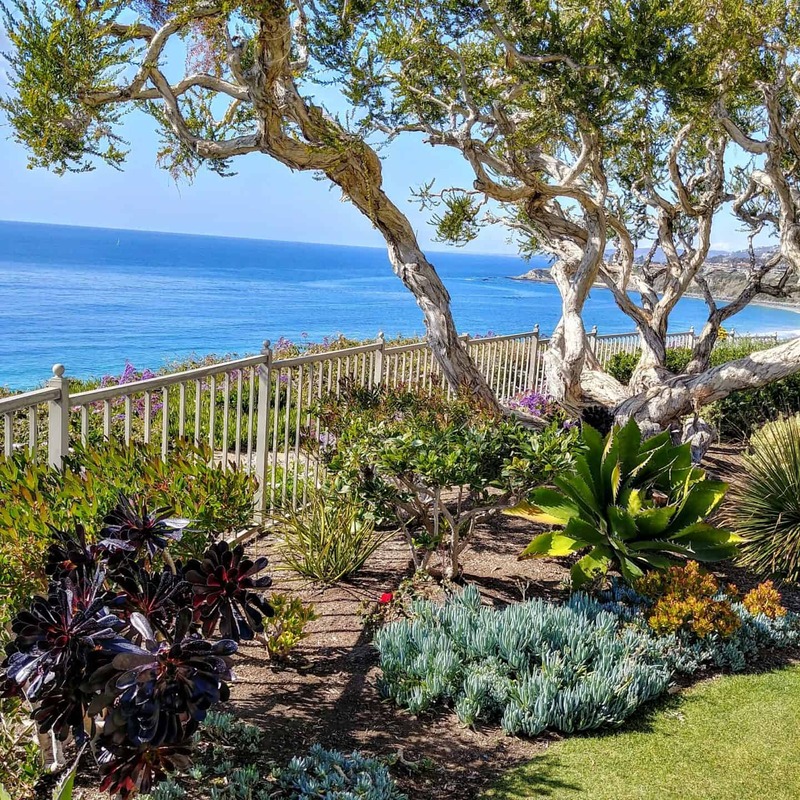 Let’s face it, the views on the California coast are absolutely stunning. 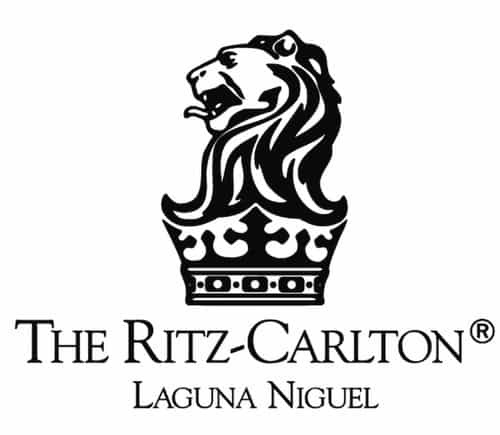 So we decided to lunch at RAYA Ritz Carlton Laguna Niguel. 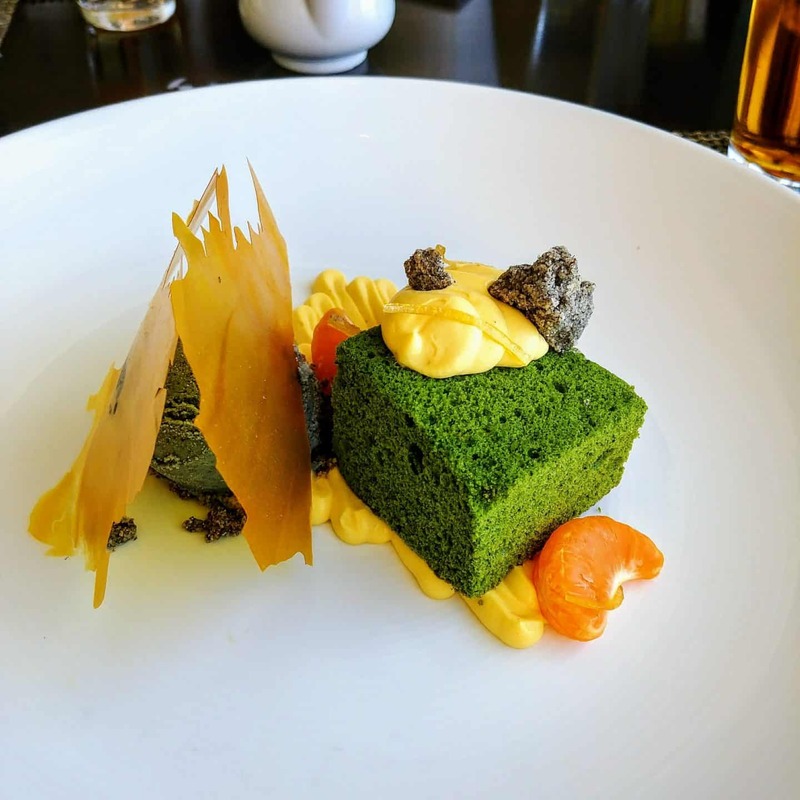 Not only is the food outstanding at the RAYA Ritz Carlton but the view is absolutely breathtaking! You know you have entered a Ritz property the moment you step foot on the grounds. 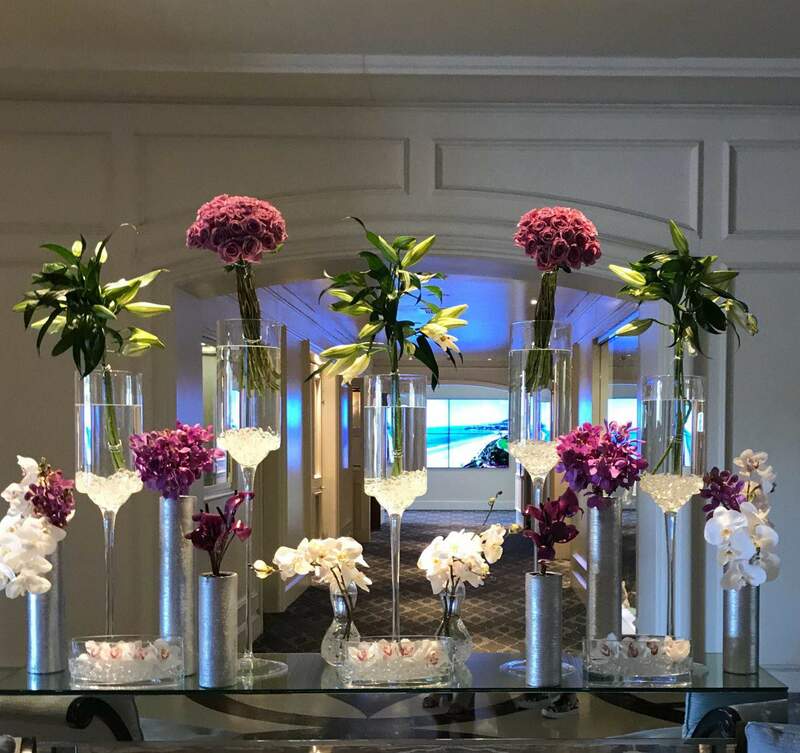 Everything is perfectly manicured and the location of each hotel is always in a pristine location. 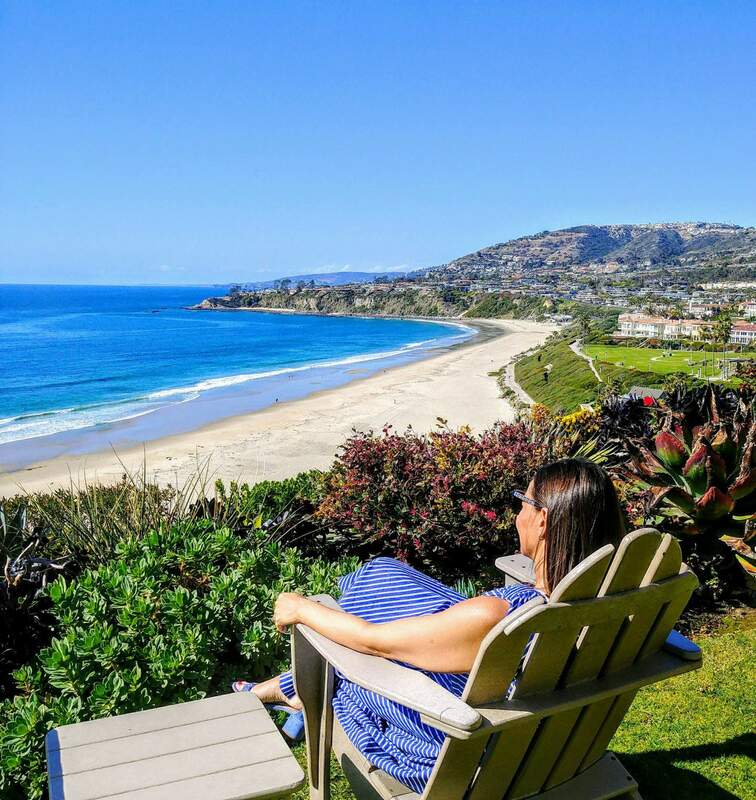 This Ritz Carlton Dana Point couldn’t get any better, perched overlooking the beach and the Pacific Ocean. I don’t think the views can get any better than this. Chef Richard Sandoval brings Pan-Latin cuisine to the Ritz. The menu options for lunch were distinctly latin but with influences from Japanese and Korean cuisine. 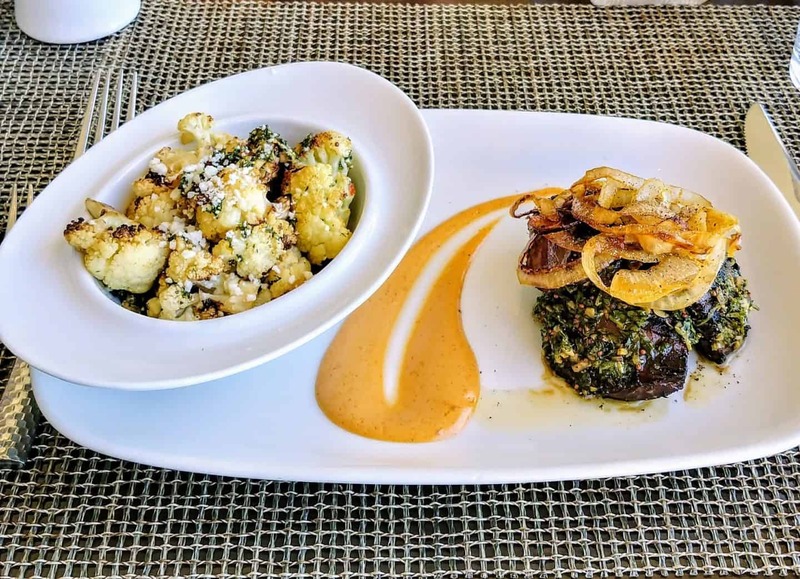 As with almost every restaurant we visit, we make our decisions for dishes with full confidence in the servers recommendations and chefs choices. 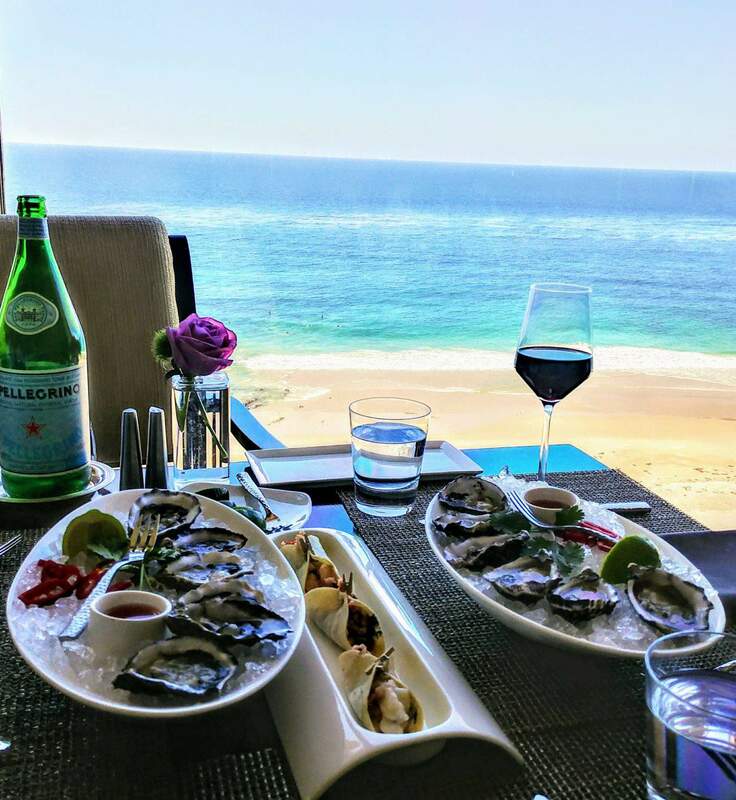 The only exception though is when the menu includes local oysters and we just have to try them every time. 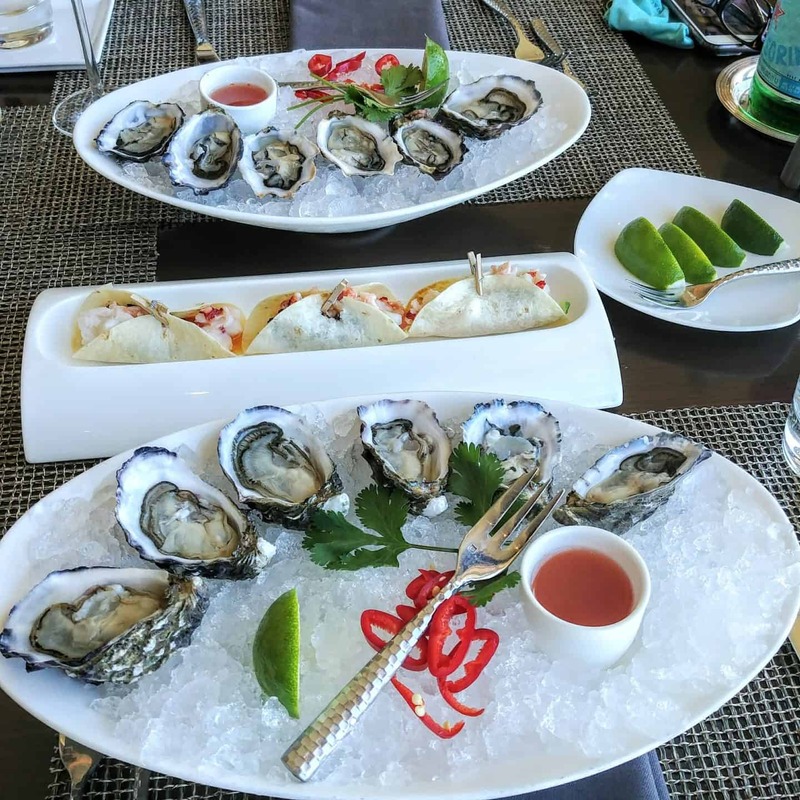 The oysters at RAYA are so incredibly fresh, you can taste the subtle nuances of the sea. 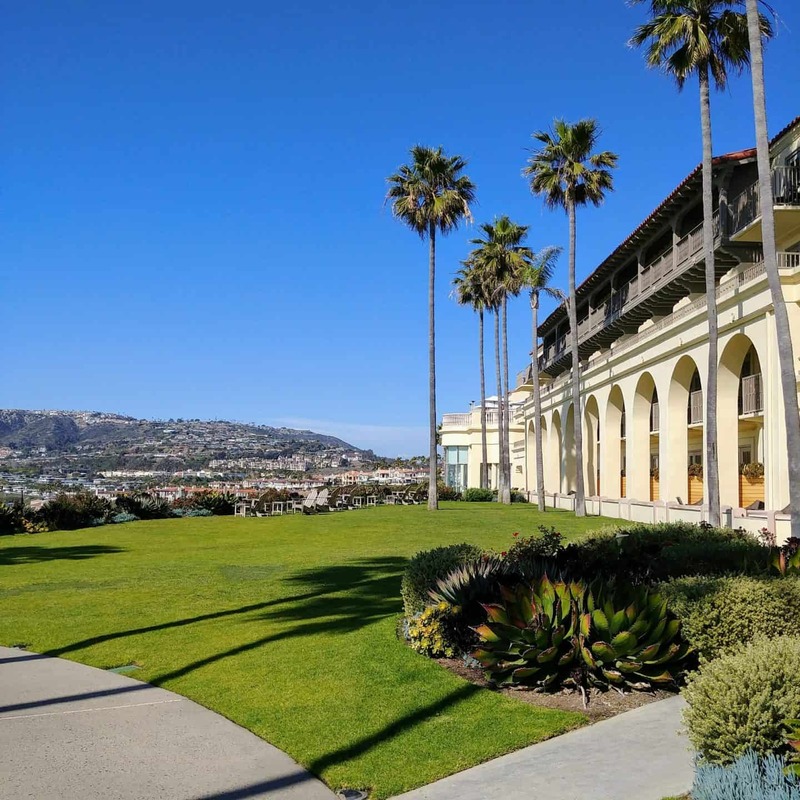 The Raya Carlton Laguna Niguel restaurant commits to serving farm fresh locally sourced produce, organic meats and sustainable seafood which is always something we look for in choosing our meals. All our appetizers exemplified this commitment and more, with flavors that come alive. The lobster tacos need no words, they were so delicious. The Ahi tuna ceviche was extremely flavourful with a uniqueness of puffed rice that gave this ceviche a nice crunch. The RAYA version of a Caesar salad was extremely delicious with the addition of avocado and pumpkin seeds. 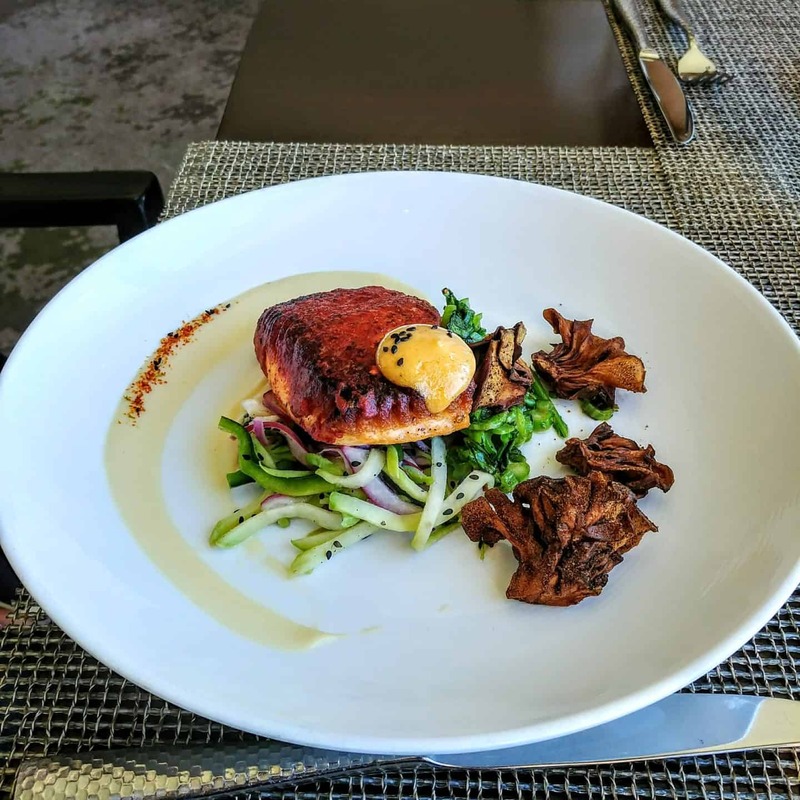 Wow….succulent salmon and full flavor beef that we savored in every bite! Even the accompanying sides were so incredibly delicious! As you can see we really enjoyed our seafood dishes while in California. We were certainly full by this point but we couldn’t bypass the dessert. 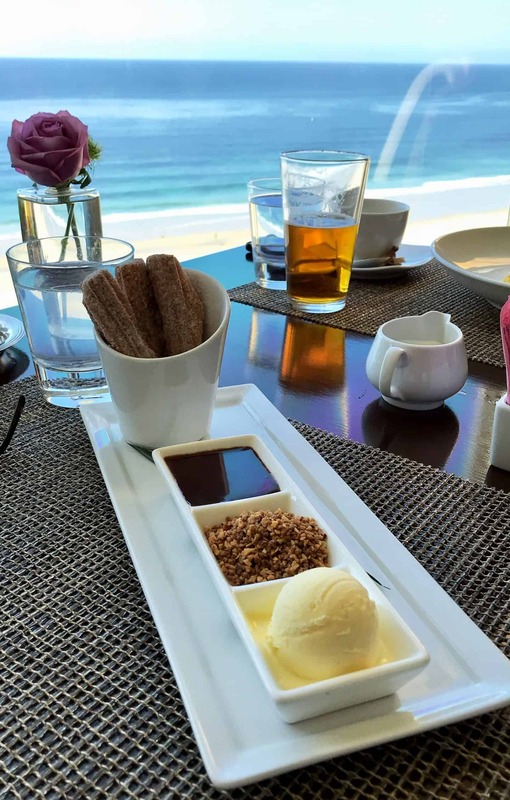 The churros with the chocolate dip then rolled in nuts with vanilla ice cream was just as delicious as it sounds. 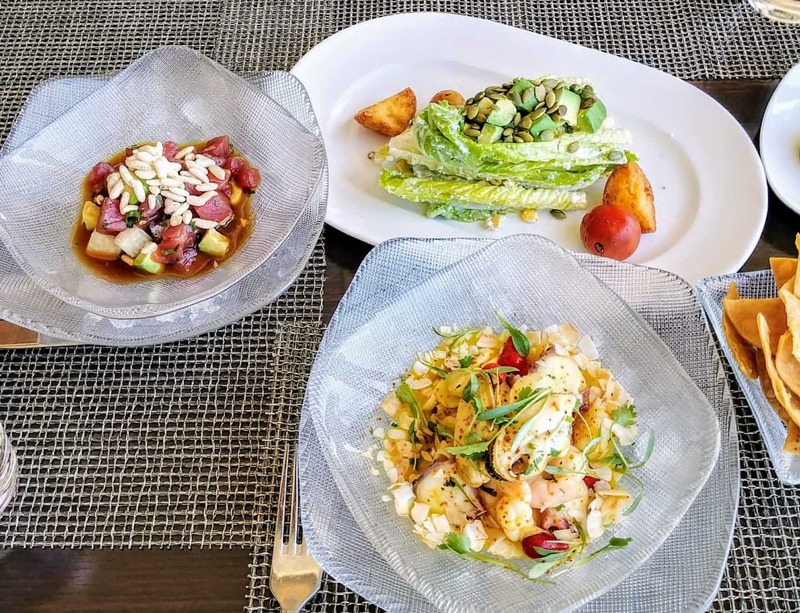 The RAYA Ritz Carlton Niguel is not just a fabulous restaurant but one of those special places to celebrate stellar cuisine with very knowledgeable and relaxed service. 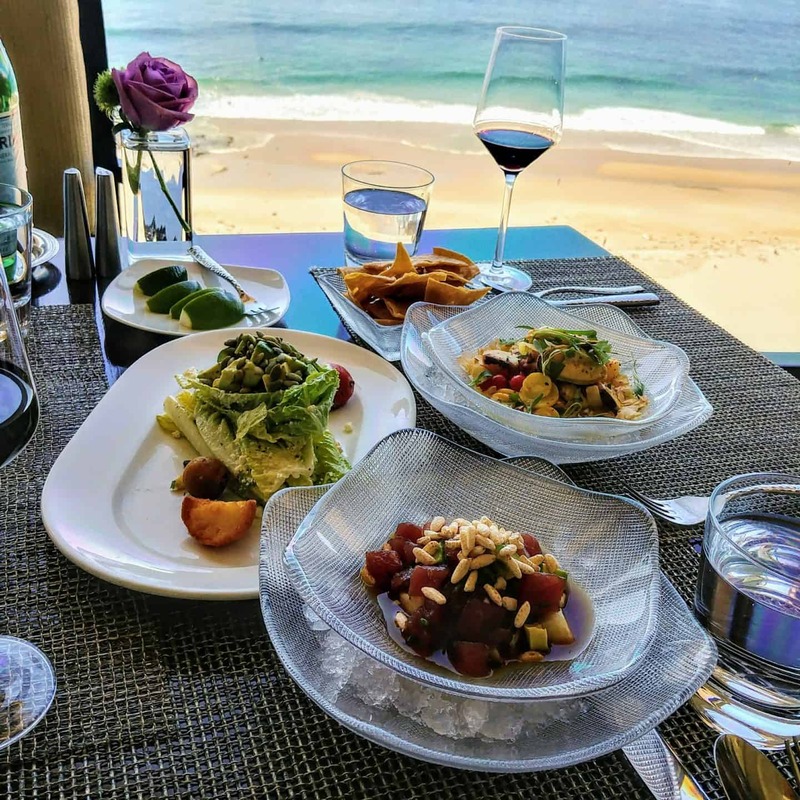 If that isn’t enough, add the breathtaking views of Laguna and you have one of the most memorable dining experiences we have ever had! 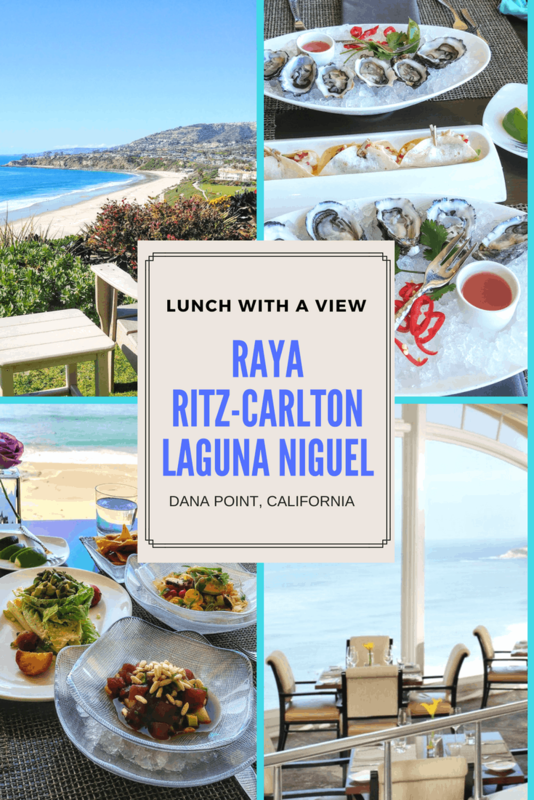 If you are heading to Dana Point a stop at RAYA for lunch will make for a memorable day. 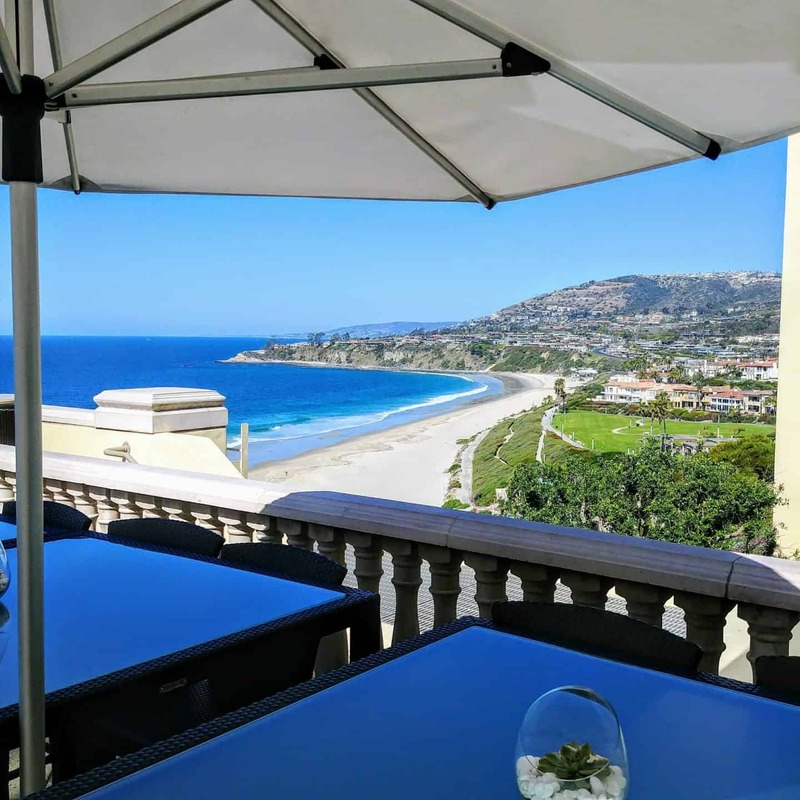 Thank you so much to the Raya Restaurant at the Ritz Carlton Laguna Niguel for a spectacular lunch with an unbelievable view. 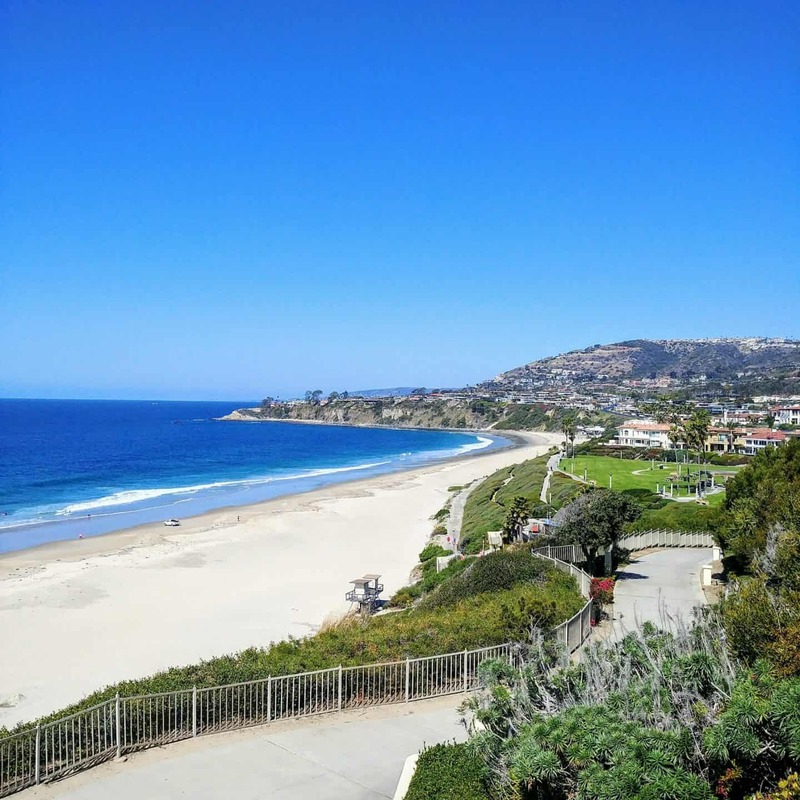 This post is written in partnership with RAYA at The Ritz Carlton Laguna Niguel, but as always, opinions are entirely my own. A huge thanks for a wonderful lunch. Looks like paradise! I love oysters and churros – yum yum!